Ryan Nusbickel is a former television reporter, who somehow managed to win an Emmy despite spending way too much time drawing cartoons in the news van. 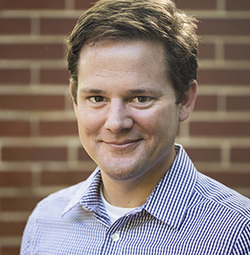 Originally, from Thomasville, Georgia, Ryan received a Bachelors in English at Wake Forest University and a Masters in Journalism at Syracuse University. As an award-winning feature reporter, Ryan covered everything from hurricanes to Super Bowls. He's since hung up his microphone and pursued his unique brand of illustrated stories for readers, both young and old. Ryan now makes his home in St. Louis with his wife, two daughters, and a menagerie of pets. You can contact Ryan below, "like" his page on Facebook, and follow him on Instagram!